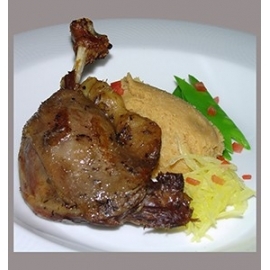 Our Duck Legs Confit is fully prepared using rendered duck fat and a classic French recipe. Just heat serve. 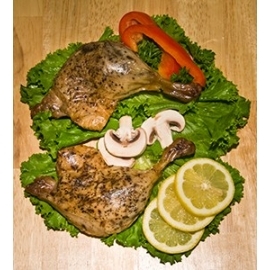 Duck Legs Confit There are 3 products. 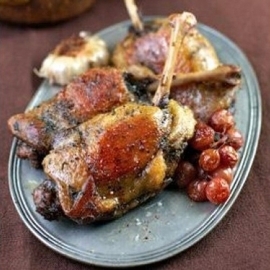 12 seasoned and cooked duck legs in a classic French Confit recipe. Each leg weighs approximately 5.3 oz. for a total of about 4 pounds. Delivered frozen. 36 seasoned and cooked duck legs in a classic French Confit recipe. Each leg weighs approximately 5.3 oz. for a total of about 12 pounds. Delivered frozen.